If you have questions or need support, we are here to help you!! (Leaders are also available to provide support in Spanish and Japanese.) We are available for phone/text support, email support, or via Facebook. To get in touch, please select your preferred method of communication. 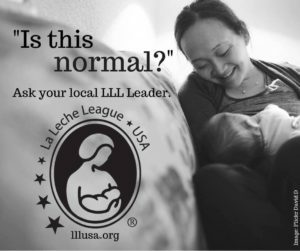 All La Leche League Leaders are accredited volunteers and there is no cost for our service.